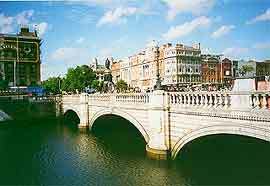 The capital city of the Irish Republic (Eire), Dublin lies midway along Ireland's east coast, on the River Liffey estuary. Originally a Viking settlement, the town became important following the Norman invasion of England. Modern Dublin is a major international business centre listed as one of the top 25 global financial services cities, and the cultural and historical centre of Ireland. Dublin has the fastest growing urban population of any European capital, and is well-known for its educational establishments and culture. 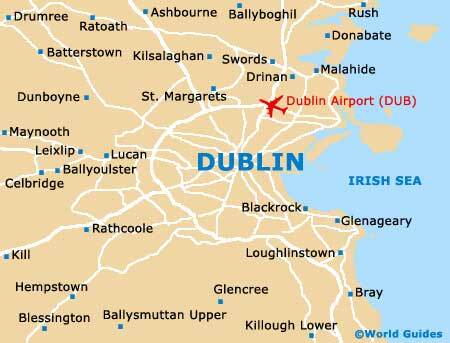 Inhabited continuously for over 1,200 years, Dublin is now an international and national transport hub, as well as the most youthful European city, with 50 percent of its residents being under 25 years old. The recent fall in house and apartment prices in Dublin has seen affordable properties emerge on the market, yet central properties still go for a premium. Most expats settle south of the river, although the city's northern districts contain some less affluent but attractively priced options. Renting serviced apartments in all areas of Dublin is straightforward via a number of companies, including major hotel chains. All sizes and styles are available, from studios to luxury suites, at fully-inclusive rates which represent good value for money. Upscale apartments often include resort facilities in the building, as well as business services and ultra-fast Internet access. There are several choices in the city's financial district that cater mainly to business visitors. A wide choice of properties is available in Dublin and its surrounding area, including Georgian town homes and country residences, between-wars developments, Victorian terraced cottages, modern apartment blocks and new homes. Property prices are similar to those in major UK cities, with notable increases on homes close to the city centre. A further decline in prices has been forecast, making investment potential a strong possibility, especially if buying a repossessed property at auction. There are no restrictions for foreigners as regards buying property, and add-on buying costs are reasonable, averaging at around 6.8 percent of the contract price. A lawyer should be used, and a survey of the property should be commissioned. Of note, a land registration fee may be charged. As a major international city, Dublin is well supplied with estate agents, including several international chains. Business is conducted in English and most potential buyers and renters choose an area of interest and then select an agent that serves the area. DNG is the largest residential property agent in Dublin and also covers the rest of Ireland. A mainly residential property agent specialising in suburban Dublin areas. GPK Properties has an informative website. An independent estate agency and auctioneer dealing in residential and commercial property.